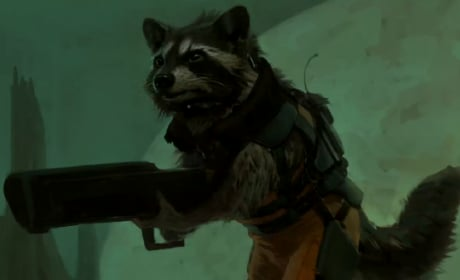 Guardians of the Galaxy: Rocket Raccoon Gets a Voice… Who is It? Guardians of the Galaxy has gotten its Rocket Raccoon. 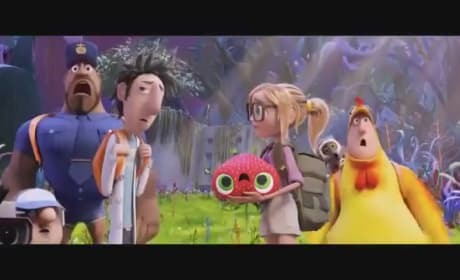 The actor who scored the voice-over part is none other than Bradley Cooper. The final weekend movie preview of the summer is quite quiet. Ethan Hawke gets behind the wheel in Getaway and the boys of One Direction take center stage in This Is Us. 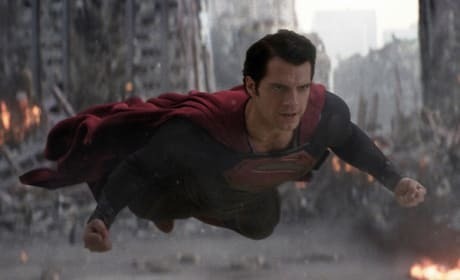 In Man of Steel, director Zack Snyder vitually destroyed Metropolis. Snyder, in recent comments, is not apologizing for the Man of Steel destruction... in fact, he is comparing it to ancient myths. 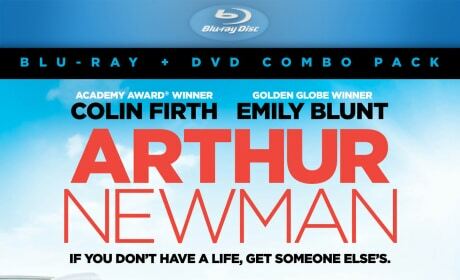 Win a copy of the latest film from Colin Firth, Arthur Newman. The British superstar/Oscar-winner is back with Emily Blunt in the charming comedy. The Expendables 3: Arnold Schwarzenegger Tweets Photo With Harrison Ford! Arnold Schwarzenegger has tweeted a photo of The Expendables 3 set with Harrison Ford. 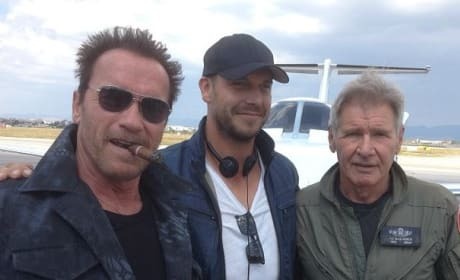 The action icons are all coming together to make the third The Expendables movie. 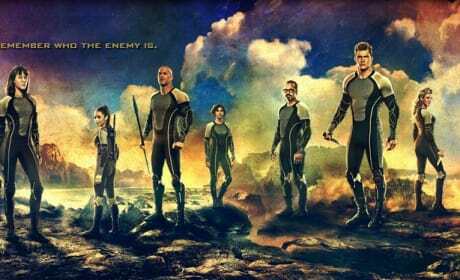 Catching Fire Unveils Banner: All Tributes Represented! Catching Fire has debuted the full "Victors" banner over at its homepage. The sequel to The Hunger Games finds Peeta and Katniss heading back into the ring. 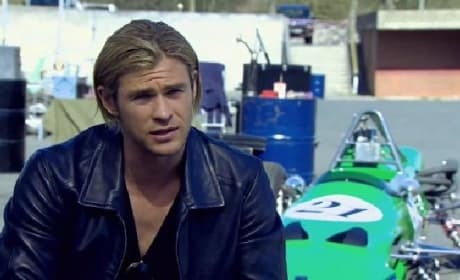 Tom Hiddleston admits that Thor: The Dark World is going to be just as much a "roller coaster" as the rest of the Marvel universe movies. 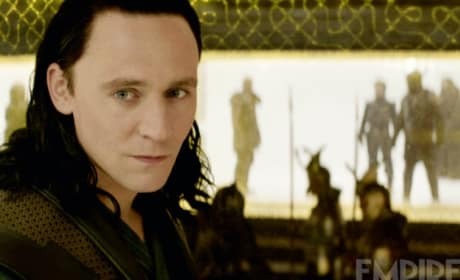 Hiddleston is back in Thor: The Dark World and has to join forces with Chris Hemsworth's Thor! 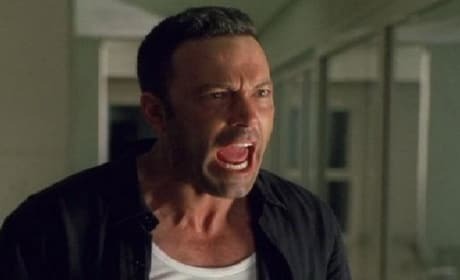 Ben Affleck gets a tad angry in the latest clip from Runner Runner. 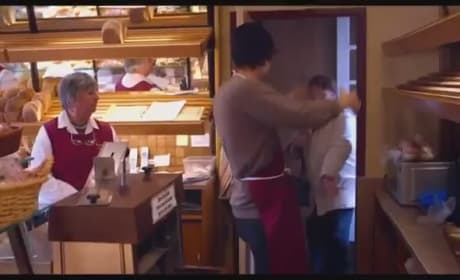 The film features Affleck and Justin Timberlake playing cat and mouse with the backdrop of the online gambling world. Chris Pratt is talking Guardians of the Galaxy and from the sounds of it, things so far are so good. 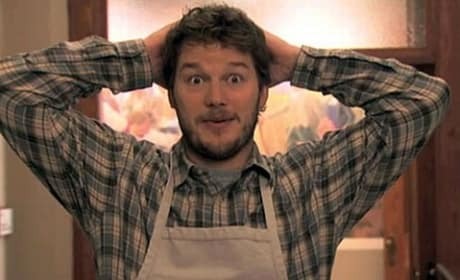 Pratt and the Guardians gang are filming in London, while the actor who is Star Lord commutes back and forth to L.A. to shoot Parks and Recreation. Ethan Hawke tries to go three-for-three with solid summer movies. Unfortunately, our Getaway review finds the car chase thriller never gets into gear.